The Registrar of SMDC, Dr Susan Fock Tave, is now also the Acting Chairperson of the Seychelles Medical and Dental Council until elections for a new Chairperson are held later this month. This follows the resignation, effective 30th June 2018, of the Chairperson, Dr Bernard Valentin, who cited need for new leadership of the Council as his reasons for resigning. The eleven members of the Council are expected to vote for their new Chairperson during the regular meeting of the Council which will be held on the last Thursday of the month of July 2018 (Thursday 26th July). Dr Susan Fock Tave is an ENT Surgeon and Chief Medical Officer of the Ministry of Health and is expected to carry forward the plan to repeal and replace the Medical Practitioners and Dentists Act, which came into being in 1994, almost twenty five years ago. Work on a new Medical Practitioners and Dentists Act has already started with the assistance of the General Medical Council of United Kingdom and Dr Susan Fock Tave has been leading this effort. The Chairman of SMDC, Dr Bernard Valentin, has resigned with effect from the 30th June 2018. Dr Valentin will remain an ordinary member of the Council until the 30th September 2018. In his letter of resignation, Dr Valentin cited the need for new leadership to take the Council much further forward. He said a lot had been accomplished from the time he took over in 2013. Introduction of new trustworthy database and unique identifier. Members of the Council thanked Dr Valentin for his service and his leadership. 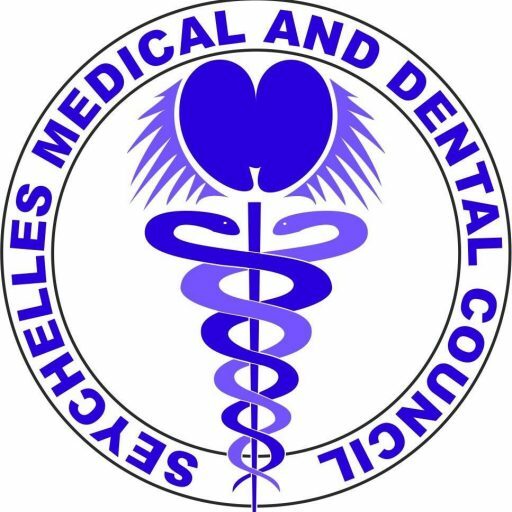 The SMDC has begun discussion on a return to practice framework for doctors and dentists in Seychelles. The framework will draw from experiences of other countries and will take into consideration two unique circumstances of Seychelles – the absence of an in-country medical school and the large presence of foreign doctors and dentists in the country. The need to change the Medical Practitioners and Dentists Act of 1994, has been long expressed by the medical and dental community and efforts are currently underway to do so. The National Institute of Health and Social Studies has the pleasure to invite mature students who want a career in a health related field to apply for the following courses on offer in 2018. Further information please call 4242006/4242011 or email director.NIHSS@health.gov.sc. Application forms can be collected at the National Institute of Health and Social Studies at North East Point or at the Security Desk at Red Roof, Ministry of Health Campus. All application forms and additional documents should be submitted by Friday 29th December 2017. The main task of the new SMDC will be to have the Medical Practitioners and Dentists Act of 1994 repealed and replaced as a matter of urgency. The symposium was facilitated by Prosper Tumusiime and Nuria Toro of the World Health Organization and Professor Anne Hendry, an integrated care specialist from Scotland. Professors Cecilia Maiers and Janina Johnson from the Chamberlain College of Nursing facilitated a session for Nurse Managers, on the first day of the meeting. Health Minister, Jean Paul Adam, delivered the opening address. before a mix of over 100 doctors, nurses, psychologists, physiotherapists and others, working both in the private sector and the public sector. Principal Secretary for Health and Chairman of the Medical and Dental Council, Dr Bernard Valentin, delivered the closing speech and committed to turn Seychelles into an Indian Ocean hub for person-centered care and quality care. After the closing, the organizers retired for a well-earned business dinner at the Treasure Cove Restaurant (picture).